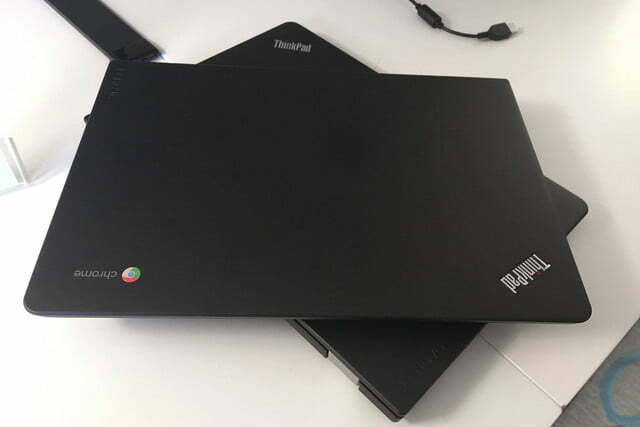 Mention the word ThinkPad to someone, and they’re likely to imagine a black laptop, clean and blocky, with a fat lip around the front to seal it up tight when closed. 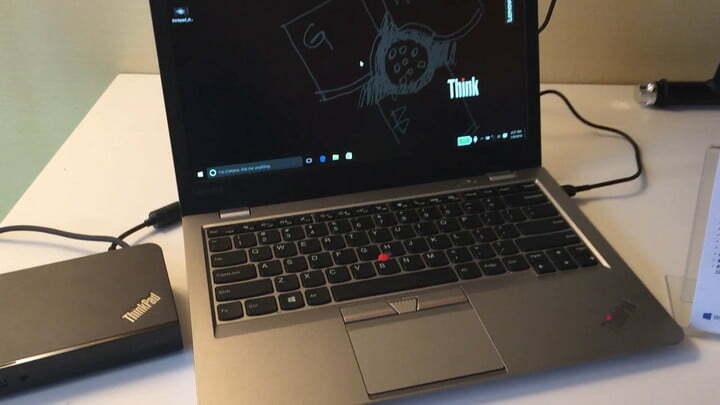 It’s a look that Lenovo has been desperately trying to escape, despite its users preferences, and the ThinkPad 13 is the newest result of that effort. And not only does the ThinkPad 13 take a departure from the norm aesthetically, but also does so in platform. In addition to both aluminum and classic black finish, it’s offered with a choice of Windows 10 or Chrome OS. It’s a decidedly different approach for the normally quite serious ThinkPad line, but is a change of pace really what Lenovo needs? 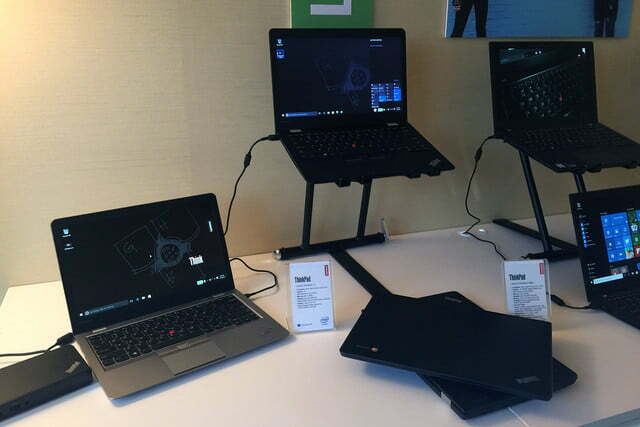 The ThinkPad 13 is available in two colors. The first is a standard black ABS material, which is a fancy way of saying plastic. Though not as durable as the magnesium alloy used in more expensive ThinkPads, the ABS looks similar. It’s not an exciting aesthetic, but it’s one that’s traditionally successful for the ThinkPad line. The other variation is draped in sleek silver aluminum, at the cost of a little bump in thickness. It’s a more significant departure from the classic ThinkPad look, but one that will work to its advantage in a more consumer-oriented sphere. Whichever color or OS you choose, there’s a lot to love about the ThinkPad 13. Whichever design you choose, there’s a lot to love about the ThinkPad 13. Both models are extremely sturdy, meeting the same military durability specifications of the rest of the line. The keyboard has a satisfying clack to it as well, with the same great shape and layout that’s become the norm for Lenovo laptops. The differences aren’t all cosmetic though, as there are some more subtle changes that might go unnoticed by the novice user. The connectivity is different too, highlighting the differences between the two operating systems. Windows users will find a trio of USB ports, a full-sized HDMI, Lenovo’s single-link, and a lone Type-C USB port, plus the obligatory SD slot. The Chrome OS version, on the other hand, doubles down on Type-C ports, while preserving the full-sized HDMI and SD card slot. 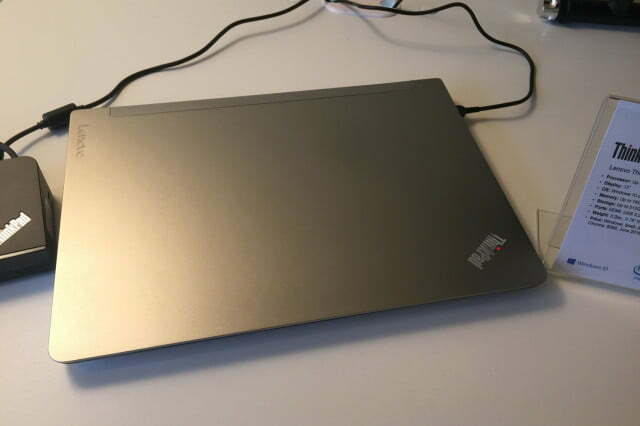 There’s another element of ThinkPads that’s notably missing from the Chrome OS version. The TrackPoint that typically sits between the G, H, and B keys doesn’t play well with Chrome OS, so it’s been removed in order to keep things simple. Lenovo says it may be revived in the future, but not for the initial ThinkPad 13. Lenovo’s redesigned ThinkPad 13 is a welcome expansion for the line, and one that Lenovo is managing carefully. Its users have expressed a continued desire for black laptops, clean design, and the same keyboard they know and love. The catch is that many users don’t need nearly the performance they think they do, and that’s one that Lenovo is taking advantage of to offer a laptop with decent specs at a better price. The ThinkPad 13 ditches the disappointing Atom processor for a Celeron Core i3 or i5, a move that’s becoming increasingly common in similar systems like the HP Pavilion 13. Even the Celeron option crushes the Atom offering in other Chromebooks. 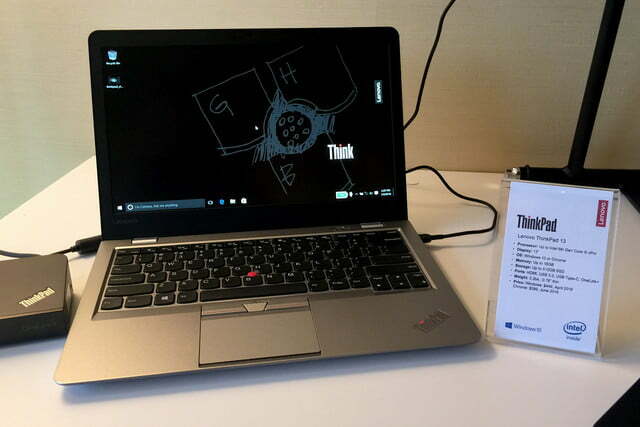 Lenovo is taking a gamble with the ThinkPad 13, one that will either end with the system finding a home in the marketplace, or in tears. But the bottom line is that the ThinkPad 13 is going to more than meet the needs of most ThinkPad users, whether they know it or not. 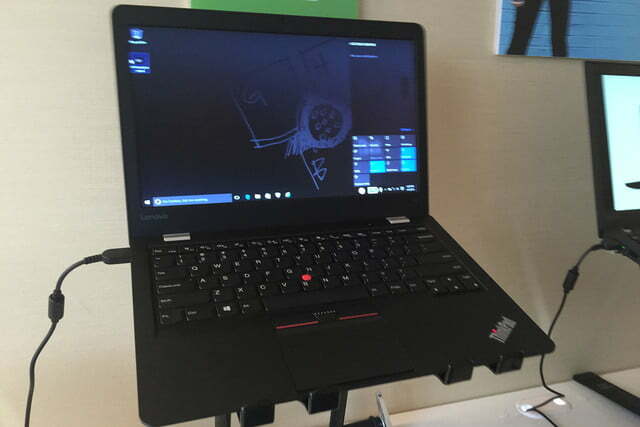 It’s also a machine that doesn’t forget the traits, like tough construction and solid feature set, that brought the ThinkPad line into the limelight in the first place.